When does Batman sleep? It's not something that most people think about, but it doesn't seem like he has much time to get a good night's sleep in. After all, during the day time, he's running important business meetings as Bruce Wayne. During the night, he fights crime as Gotham City's greatest protector. How has he kept it up all of these years? Maybe Batman has a special Batsuit that's designed for both crime-fighting and for napping! You know, something that strikes fear into the hearts of supervillains, but's also comfortable enough for a Bat-nap. That's got to be it! Perhaps it's a little something like this DC Batman Union Suit for kids! 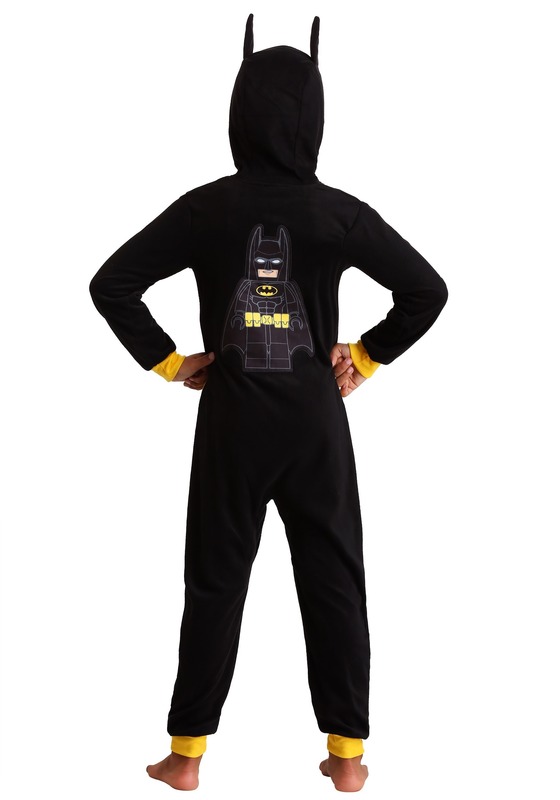 Based on the iconic superhero's suit, this Batman union suit is a pajama-style outfit, perfect for fighting supervillains and perfect for taking a little snooze in the Batmobile. It's made out of a soft, fleece material that's as comfortable as it is durable. The front of the suit has a bright yellow Bat-symbol on the front, while the waist has a printed yellow utility belt. The back has an image of Lego Batman front and center to help inspire some heroic deeds in your young superhero. The suit fits with a zipper in the front and the rib-knit cuffs around the wrists and ankles help keep this union suit snug. Finally, the hood brings this whole look together! It has a pair of bat-ears on top, so all your child has to do is flip the hood up and he'll become a real superhero! 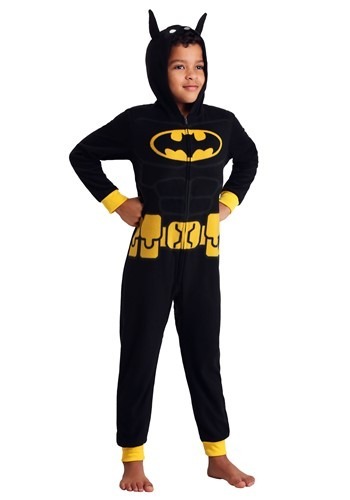 Whether your child is planning on protecting Gotham City, or he just needs a comfy outfit for an afternoon nap, this comfy Batman suit is perfect! Cozy, comfy, and completely ready for crime-fighting, this outfit brings together the world of dreams and the world of superheroes into one simple suit.